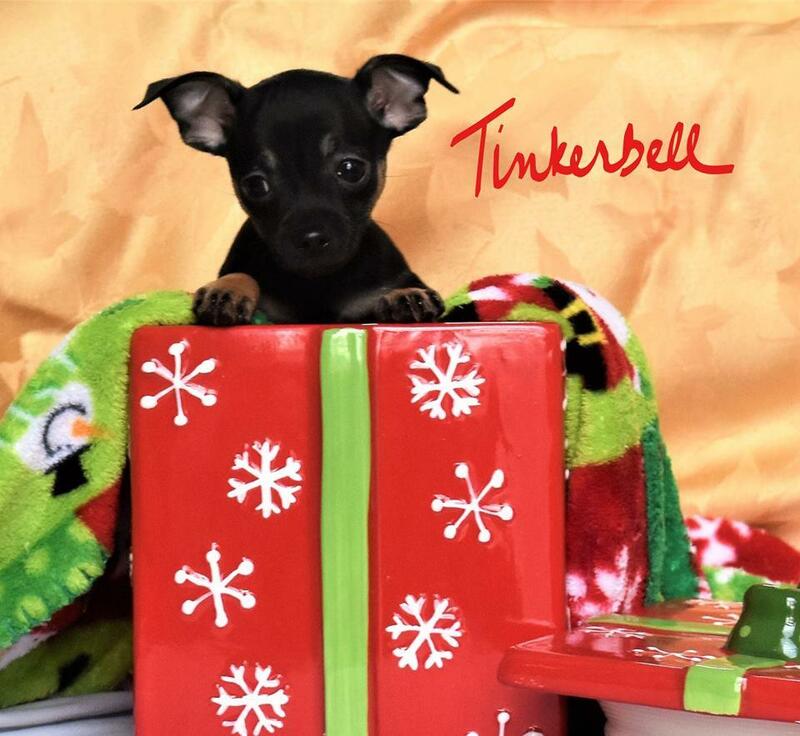 The Peter Pan puppies are now eight weeks old and ready for adoption! 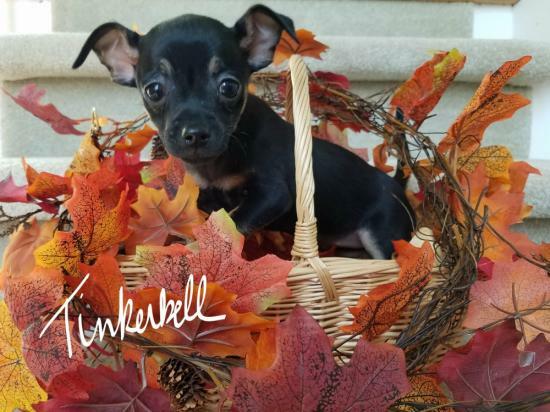 This sweet Chihuahua mix puppy is playful, curious and adorable. Weighs about 2 pounds currently, not expected to be more than 10 pounds. Working on keeping the puppy pen neat and tidy even at this young age. Adores being held and cuddled, and having a lot of fun wrestling with the other puppies and playing with puppy toys in the pen.